One of the real success stories of comics on the iPad is IDW Publishing. Not only do they have a strong presence on ComiXology but they also have a series of their own apps based on hit series like Transformers, True Blood and Dr Who. With smaller independents flourishing in this new market place, I got the chance to ask IDW’ Publishing’s Jeff Webber, their director of e-publishing, about some of the success stories at IDW and just how he sees the future for smaller comics publishers like IDW. 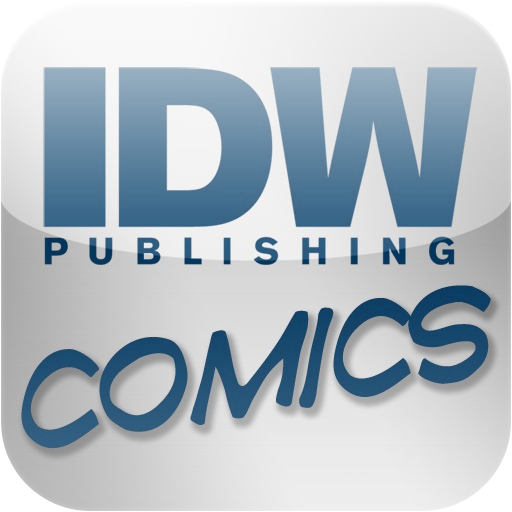 Do you think the advent of the iPad and the development of comics selling apps has had a positive effect on IDW and the comics business as a whole? JW:The coming-of-age of digital comics is definitely a positive for IDW. We were one of the first comics publishers to form a digital team a few years ago, and we now have over 850 issues for sale digitally with over 3 million downloads. Aside from Apple, we have partnerships with Sony, Nokia, Amazon and other leading digital platform manufacturers. And very significant to our company growth, over 40% of our digital sales happen outside of the US. Could you give me any examples of specific success stories? Perhaps titles that did ok in print but which have flourished in digital form? Or titles which have shown surprising sales on the apps? JW: Doctor Who Comics app on iOS is our most recent success story. IDW has print rights for Doctor Who in the US, but we have worldwide digital rights. In the UK, Doctor Who went to the top of the iPad and iPhone book category when it launched. This app is now globally our strongest branded app behind Transformers. And we love getting the new Matt Smith 11th Doctor series out to everyone — the stories and art are stunning and fit entirely into the feel of the latest TV seasons. Do you find readers are buying whole series or just using digital to sample titles? JW: Whether readers are buying whole series or just using digital to sample titles depends on the brand. Transformers fans are ravenous for every issue, while digital gives readers ways to discover and sample our creator-based series such as Locke & Key or Parker: The Hunter. Are your writers and artists embracing the world of digital? JW:Our creative teams are stepping into digital quickly — they are always considering how the creative will work for both print and digital, and we have some digital-only projects in the works that can take advantage of the format. What do you think the future holds for digital comics? Do you think publishers will soon be releasing books entirely in digital form? JW: The truth of the matter is that digital sales are still just a small part of our overall sales. Publishers will not be moving from print in the foreseeable future. But the format for what consists of a print book and a digital book may indeed change. Over the long-term, print readers will most likely appreciate most the things digital cannot reproduce such as paper stocks and high-end formatting. IDW has a strong line of deluxe hardcovers. Digital may take advantage of shorter episodes released rapidly and experimentation in storytelling formats most suited to the small or large screen. « Top 5 Comics Apps for iPad	» Why Spider-man #1 is the most iconic comic of all time!